Meltdowns with children can just be brutal. Sure, children have temper tantrums but meltdown are something completely different. Meltdowns are when your child is so emotionally overcharged that they lose complete control over themselves. 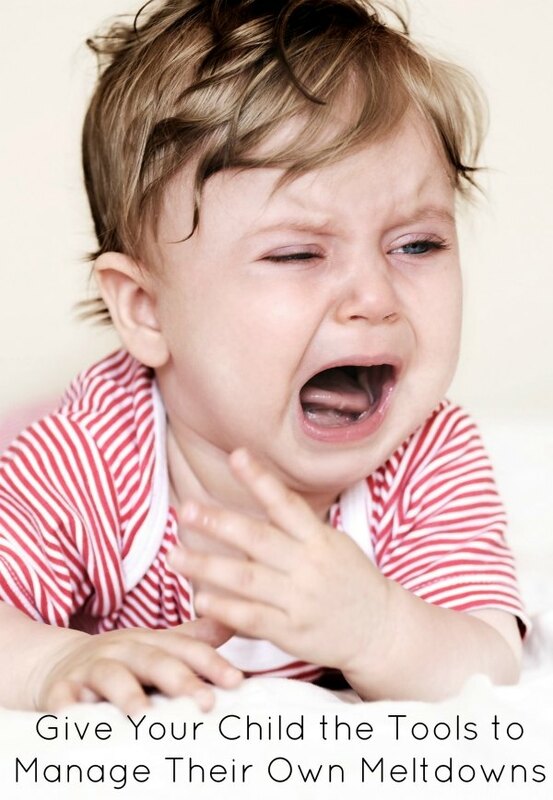 During a temper tantrum, your child will respond to what you are saying. However, during meltdowns, your child is often unable to respond. The single best way to manage meltdowns is to help your child learn how to manage their emotions before they lose emotional control. As the mom of a kid with Sensory Processing Disorder, who was prone to complete and utter meltdowns, I have learned how to help my kiddo help himself. After six years of coming to gymnastics, I forgot my son’s shorts. For those who don’t have tactile defensive kids, wearing pants for sensory kids can be a serious issue. My son actually feels pained by regular pants and only wears sweatpants (which are also troublesome; however, we live where it snows so Vman has to wear some sort of pant). When Vman realized I didn’t have shorts with me he shed true crocodile tears, but it didn’t evolve into a complete tornado meltdown. Rather than getting upset over him getting upset, I took a keep breath and kept my cool. I immediately told him I understood why he was upset. I explained I know how hard it is for him to wear pants and that wearing shorts to gymnastics is very important for him to feel comfortable enough to enjoy the class. By keeping calm and letting him know he wasn’t alone with his feelings, he was able to embrace being sad without act out. We were too far away from home to go get a pair, so I immediately took Vman to the office where we searched the lost and found for an extra pair of shorts, but no luck. However, the office did have shorts they could sell us. Great! Vman could always use an additional pair of shorts anyway. By keeping my cool, I was able to help Vman stay in control and find a solution. If we hadn’t found a pair of shorts for him to wear, he probably wouldn’t have been able to participate. That may seem extreme to some people who don’t have sensory challenges in their house, but sensory parents out there will understand that it can just be too much for their kids to handle. 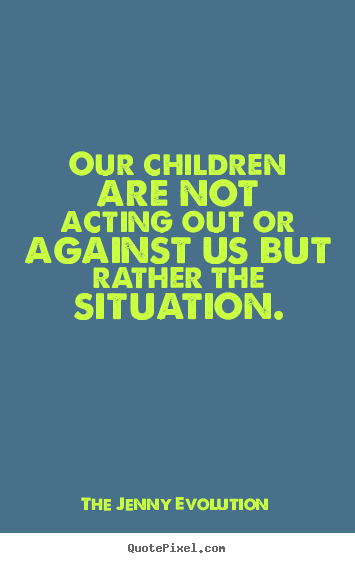 In these moments, it’s important for us as parents to keep in mind that our children are not acting out or against us but rather the situation. The more we build tools to help our children control their reactions, the better they will be prepared to manage whatever comes their way. Note I did not say for them to ignore their emotions. Emotions should be embraced. They are true and real. If you are sad, be sad. If you are mad, be mad. However, we have control over our outward behavior. We are not slaves to our emotions. We control our bodies. We control how we treat people. We control how we treat ourselves. Teach your child that the world is not something to fight but to embrace and work with. It will serve him well. Years of therapy and hard work at home has helped Vman to develop the tools he needs to face many of the sensory challenges he has to deal with. Trust me, this didn’t happen overnight. But when a meltdown is coming on, my son knows that we are a team and will work together to figure it out what is wrong. As parents, we have come to grips that we all make mistakes and just can’t avoid the meltdowns. How we handle the meltdowns helps define how our children should handle their meltdowns as well. It can be tough to stay calm during your child’s breakdown, especially when you deal with them day after day, often multiple times a day. But the more we display how we can stay calm and think about how to solve what’s facing us, the more we teach our children that they may not be able to control how something feels to them, but they can still control their reaction to it. I haven’t heard of Sensory Processing Disorder, but the suggestions you make here are good for any parent dealing with any child’s difficulties. I totally agree emotions need to be embraced – and that includes our own. (If we can’t embrace our own, how can we embrace our children’s.) Not always easy in the short term, but so much better for us all in the long term. This line I particularly like: “Teach your child that the world is not something to fight but to embrace and work with.” Yes, absolutely. Thanks, Yvonne. Yes, these are definitely tips that could be used with any child. 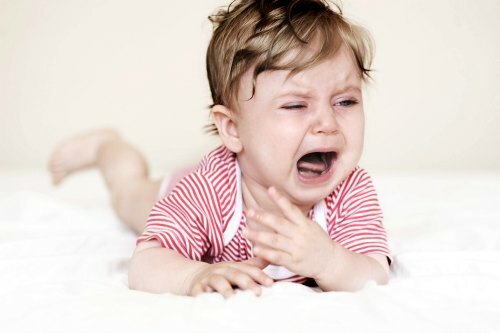 The difference is that sensory kids don’t have a tantrum when they get sensory overloaded — they have a complete meltdown. It’s like their brain shuts down instead. The faster I’m able to help my kiddo the more likely he’ll learn how to manage the situation next time. wow! You said it! perfectly! We are constantly teaching Legoman tools to deal with his sensory processing and anxiety. I love this post! wool you please share it on my Facebook wall on Saturday? I am starting Sensory Smart Saturdays on my wall as a way to increase awareness. So glad you connected with this post! I shouldn’t be surprised anymore by SPD but I am. It always keeps me on my toes. What great insight for all parents. I tend to be so caught up in my own stuff that I don’t take the time to help my kids process their feelings. Thanks for the reminders! Glad the post was a good reminder! I know as a parent I can forget that kids need to be taught the pathway to dealing with emotions. Having a sensory kid has certainly taught me to be ever mindful! What a thoughtful blog post. Thank you for sharing your experience. I am sharing this post with others. Thank you for sharing your experience! We don’t have a child with Sensory Processing Disorder, but we do have a feisty, emotional little guy who is very meltdown prone and challenging. I especially appreciated how you reminded us to let the emotion play out. 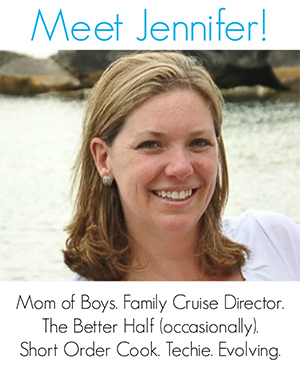 I will be featuring this on Makeovers & Motherhood’s Welcome Party Wednesday Link-Up this week! Thanks you for the upcoming feature! You’re right. As parents we do sometimes want to ignore the emotion rather than letting them embrace how they’re feeling but learn how to deal with it in a positive manner. I cannot explain the relief I have in reading this. I have lived these moments over and over again with my (now 7 year old) son… we have only just been referred for sensory processing testing last week. I hadn’t even heard of it before and I stumble on your blog to find *the exact* problem we have with “softy shorts” (a jersey pair of shorts that are the only ones he will wear) is one that other people have. There is no point to this post by the way! Just feels amazing to me. I really want more info on SPD and anxiety! This was VERY helpful! Our daughter has ADHD, anxiety, depression and shows many signs of SPD! Any help would greatly be appreciated! Christine — I run a separate website and online community called The Sensory Spectrum. Visit at http://www.thesensoryspectrum.com See you there! And here I thought temper tantrums are the worst. Thank you so much for sharing your story. It definitely gave me a different perspective to parenting. You’re absolutely welcome, Bev. Temper tantrums are annoying. But there is definitely a HUGE difference between tantrums and meltdowns. I am finding that there is now a movement towards children learning how to actively deal with their own emotions. Time out is having a look over by many parents these days and I am all for it! I write a lot about training kids to be self disciplined as I believe it to be the key skill to any humans future success! Thanks again for writing such a great article. I leanrt a lot! Since he wears sweats, maybe next time you can just turn them into cut offs with a pair of scissors? Great job avoiding a meltdown. Oh yes, meltdowns or entirely different than tantrums. I’ve been there and lived the first couple years after my son was diagnosed with autism in constant fear of his meltdowns. You are so right in keeping your cool when it starts. My son feeds off of my energy and when I was uptight and anxious about his meltdowns it only made them worse. Things are much better now and we are learning (together) tools that work for him. Great post, thanks for sharing! Definitely learning together about the tools that work are key — you’re a team after all! ‘Crocodile tears’ is a term that is used, meaning fake tears. So, I don’t know what you mean by ‘true crocodile tears’…. Your son cried true fake tears? Did you think crocodile tears meant ‘large tears’?? Yikes. We’ve always used the term meaning big wet tears… had no idea. Thanks for the heads up. Hi! I loved your post, and was wondering if you could maybe share some tips on how to know when it is a tantrum or a meltdown. Thanks in advance ?